Finding the best deal on a used car can be tricky because you never know exactly how the previous owners took care of it, but with these tips and tricks you can secure the best used car deal available. When you begin the car buying process, the first thing you should do is evaluate whether you are going to be financing a used car or a new car. 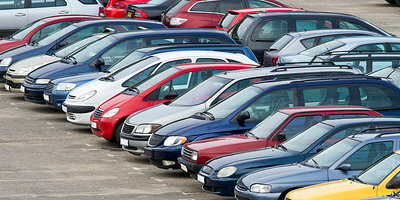 Both options have great benefits, but buying a used car can generally save you some money. There are a ton of pre-owned vehicles out there that look brand-new, run like they just came off the assembly line, and best of all, have a price tag you can afford! So, now you're set on buying used over new, but how do you go about picking the right one? Most people already have an idea in their head about the kind of car they want, but often times those thoughts are unrealistic. Before making any permanent decision, be sure to think about if this car is practical for you and your family and if it will fit into your monthly budget. Keep an open mind when shopping, for example, if you have your heart set on an F-150, also look at the Dodge Ram, Chevrolet Silverado, and GMC Sierra. Each has different features and you may realize you like the other more than the Ford. While looks should not be at the top of your list when deciding on your next car, they are important. This is a vehicle you will have for the next few years, and if you want a car that is a popular make, you will pay extra for it. Sticking to our truck example, if you wish to purchase a full-size truck, a Ford, Chevy, Dodge, or GMC may be upwards of a few hundred more than a Toyota or Nissan. 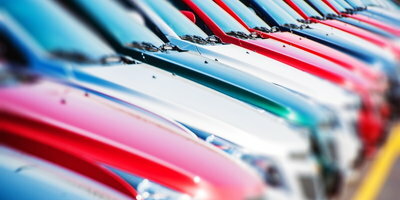 Luckily, before you agree to pay the larger price tag because of the brand name, you can look up the true value of the vehicle on sites like KBB.com or NADA.com. These sites can help tremendously when deciding if the car you wish to purchase has a sticker price is over its true value. If it does, move on and find a better deal. 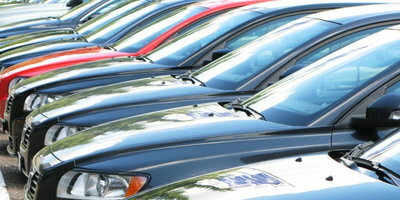 Once you have researched the cars you like, secure the financing. At Auto Credit Express we make this process easier than ever. You can use our free, easy and secure online application, and you could have an answer within minutes. Doing this online will help you determine your budget and know exactly which cars you should be looking at when you arrive at the dealership. Don't get stuck falling in love with a car that is way out of your price range because the dealership led you to the vehicle before you found out how much you could be approved for. Stay one step ahead with online financing. Buying a car with water damage can prove to be a big headache down the road. Not only could you experience a mildew smell throughout your car that will not go away, the car will rust faster, the engine could stop working at any second, your hoses to could spring a leak, etc. 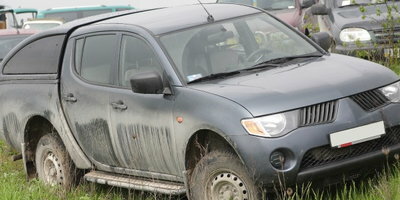 There are a number of reasons to stay away from a car that has water damage. The same is said for a vehicle with a salvage title. These are cars, trucks, or SUVs that have been deemed a total loss by the insurance company, or the odometer has been rolled back can cause you expensive problems. Steer clear of these vehicles and choose a car you know you won't have these problems. After you've done your research online, it's time to research in person. If you have a mechanic friend, or know someone that is very knowledgeable with cars bring them along to car shop with you. They will be able to tell you if they see anything wrong with the car under the hood or with the under-carriage that you may not have noticed for yourself. Doing these checks may seem tedious and time consuming, but it could save you thousands of dollars in the long run. We've all heard the horror stories about people spending way over their budget. This is easy for them to do when you go in the process with only a monthly budget in mind. Vehicles are long-term purchases, and therefore, you should consider how much the car is going to cost you over the life of the loan. Maintenance – oil changes, tire rotations, etc. Once you decide how much you can afford to pay each month, you should look at your savings and see how much you can put down on the loan. Remember, the more you put down the less you will need to finance. That means you will have a lower monthly payment and you will be paying less interest over the life of your loan. Getting a favorable loan term is important. If you finance a used car for 60 months at 7% you will be paying for more total interest than you will for a 36 month loan at 10%. Don't let interest rates and monthly payments be the determining factor. If you tell your salesperson you can only afford $200 a month they can easily make that happen by extending the auto loan terms out a year or two. Finding a good deal is never an easy thing to do, but when you follow these easy tips you could drive away in a new-to-you car without a headache. Even those consumers without the best of credit can get an easy used auto loan with Auto Credit Express and our network of bad credit car dealers throughout the United States and Canada. Start your research and apply online today and you could be behind the wheel of your new car this week.